After the problems that The Beatles encountered at Apple, George Harrison was the first member of the band to venture back into the record business in a solo capacity, founding his own Dark Horse label in the mid '70s.Home to Harrison's own recordings (although he was technically signed to EMI), Dark Horse's only major chart success came with the duo Splinter, who in 1974 had a top 20 hit with 'Costafine Town'.The label continued to thrive throughout the '80s after Harrison left EMI and signed to Warner Bros Records, while his solo albums continued to carry the Dark Horse logo, which also appeared on his final album, Brainwashed, issued on Parlophone through EMI. Attention! There are frequently pressing plant variations, so please providing the runouts. There is usually also an engraved horn for the Winchester plant. 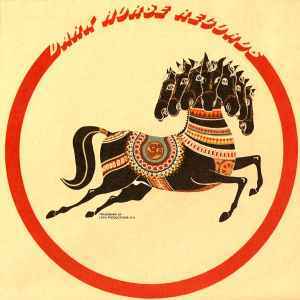 For unofficial releases using the Dark Horse Records name, see Dark Horse Records (4). One of the coolest logo's I have ever seen.